This corn drink I saw in a supermarket near the hotel looks interesting. 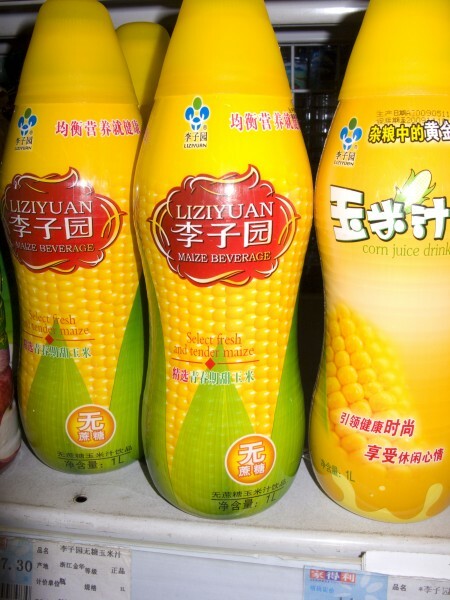 I really liked the corn flavored kit-cat from Japan so I’m really wondering what this corn drink tastes like. It only came in large 1 litre bottles. If there was a small one I would check it out for sure. I wonder if there’s any of that fake margarine flavor in there?